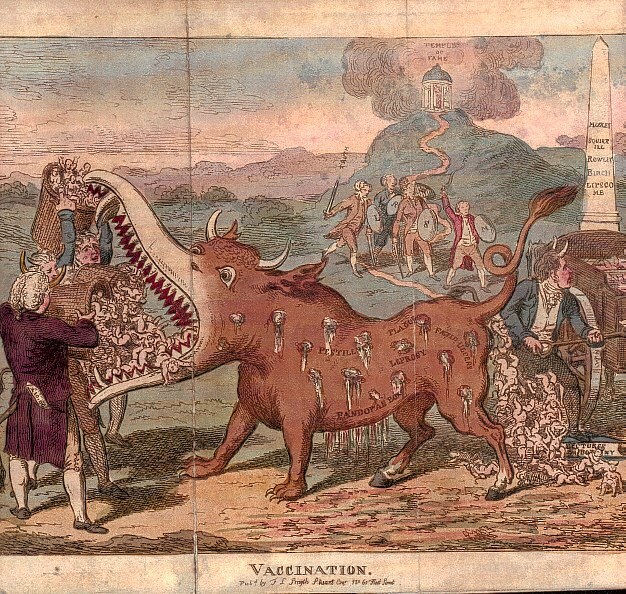 A mighty and horrible monster, with the horns of a bull, the hind of a horse, the jaws of a krakin, the teeth and claws of a tyger, the tail of a cow, all the evils of Pandora’s box in his belly, plague, pestilence, leprosy, purple blotches, foetid ulcers, and filthy running sores covering his body, and an atmosphere of accumulated disease, pain and death around him, has made his appearance in the world, and devores mankind, – especially poor helpless infants, – not by sores only, or hundreds, or thousands, but by hundreds of thousands (vide Vaccinae Vindicia, p. 413 and 423). This monster has been named vaccination; and his progressive havoc among the human race, has been dreadful and most alarming. London, 1807. The 12th International Conference on Urban History will be held in Lisbon in 2014. Tim Soens (Centre for Urban History, University of Atnwerp) and Dolly Jørgensen (Umeå University) are organizing the main session ‘Urban Sanitation Before the Sanitary Revolution (middle ages – early 19th century). They welcome paper proposals addressing issues of urban drinking water supply and wastewater removal before 1850. 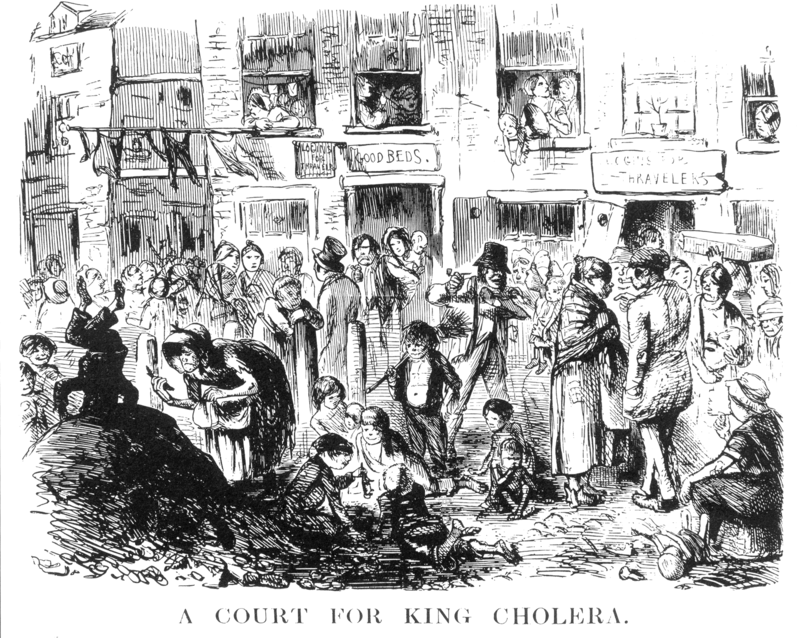 The introduction of centralized sanitation in the nineteenth century city, in its most advanced form combining the distribution of piped drinking water to individual households and the water-carriage of waste using a piped sewerage system, fundamentally altered the relationship of western urban society with its natural environment. Following path-breaking research by Martin Melosi, Joel Tarr and others the impact of this sanitary revolution, both regarding technological path-dependency, the interconnecting of urban households through technological networks, the commodification of natural resources, the externalization of environmental problems and social inequalities in access to environmental services have been elaborated both by environmental historians, and scholars in the field of Science and Technology Studies and Actor/Network Theory. Whereas the pre-modern period had longtime been regarded as a pre-paradigm period with regard to urban sanitation (Lewis Mumford), there is an increasing tendency to point at important changes in environmental attitudes and practices already in the seventeenth and eighteenth century. In this session we aim to transpose the essential questions on technology and nature released by the debate on the ‘sanitary revolution’ to the study of drinking water supply and wastewater removal in the entire period of pre-modern European urbanisation, from the Middle Ages to 1850. – When and why large technological systems were introduced to ensure drinking water supply and wastewater removal? – Which degree of technological path dependency was generated by these systems? – Did pre-modern systems also externalize part of the environmental cost of clean water to specific groups within or beyond urban society, as well as to future generations? – To what extent scientific and intellectual transformations, like the gradual ‘disenchantment’ of nature inspired new technological solutions? – Do we see a gradual decrease in the physical contact with water, as well as an increasing commodification of water? – To what extent the urban population was intentionally or unintentionally “governed” through pre-modern drinking water and wastewater-systems and can we conceive these systems as intentional or unintentional instruments of power, through which urban populations were governed? – Did such systems engender new types of social relations and destroy others? By bringing together papers on different parts of urban Europe throughout the pre-modern period, a fundamental re-appreciation of pre-modern urban sanitation throughout Europe will become possible. Please submit an English-language abstract of maximum 300 words on the website of the European Association for Urban History. This entry was posted in history, Sanitation, Urban. Bookmark the permalink.